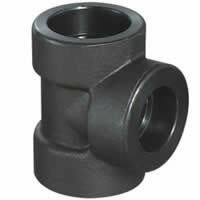 Forged Tee Fittings are pipe fittings that be formed mainly by forging. Forged Steel Tees are available with both socket weld and threaded ends. Forged Steel Tees conform to ASTM A105 and ASME SA105. Stocked in sizes from 1/8" to 4". Threaded wog: 2000, 3000 and 6000 lbs (140kgs/cm2-210kgs/cm2-410kgs/cm2)( sch 40 - sch 80 - sch 160 ). Socket-welding wog: 3000, 6000, 9000 lbs. ( sch 80 - sch 160 - xxs ). Dim. Spec: Asme b 16.11-1996 (rivision of ansi b16.11-1991), mss-sp-79\ 83\ 95\97 and gb/t 7306, 12716, 14383, 14626, spec. Finish: Galvanized or black. (carbon), pickled(stainless). A pipe tee is a type of fitting that has a T shape and is used to join two or more plumbing pipes. Equre tee (or straight tee), means the branch diameter of this tee is same with the main pipe (Run pipe) diameter of this tee. Reducing tee is a type of pipe fitting in which the branch port size is smaller than the ports of the run. Lateral tee has a 45 degree branch from a pipeline. Reducing cross used for connecting four pipes, the main pipes with the same size, but the dimensions of the branch diameter is smaller than the main pipes. Equal cross in the place where four pipes meet with the same diameter. There are three female openings in a T shaped pipe tee. Reducing pipe tees have one opening of different size and two openings of the same size. There are sanitary pipe tees which are used in waste lines. These kind of pipe tees have a curved branch which is designed for a clean out plug. They are used to prevent obstruction of waste. A cross pipe tee has four equal sized female openings. A wing pipe tee has lugs to fasten the fitting to a wall or stud. A compression pipe tee uses compression fittings on two or more ends. A test pipe tee has a threaded opening. This opening is used in conjunction with a threaded plug for a clean-out opening on a drain pipe. 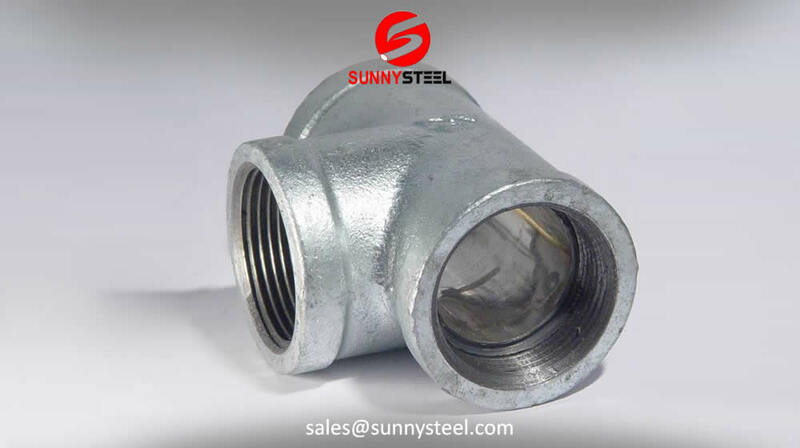 Stainless steel Tee is T-shaped pipe fittings with two outlets, one at 90° to the connection to the main line by stainless. Tees straight and reducing- The primary purpose of a Tee is to make a 90° branch from the main run of pipe.